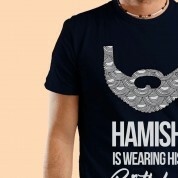 This one of a kind t-shirt will go down a storm with that hairy faced man in your life! 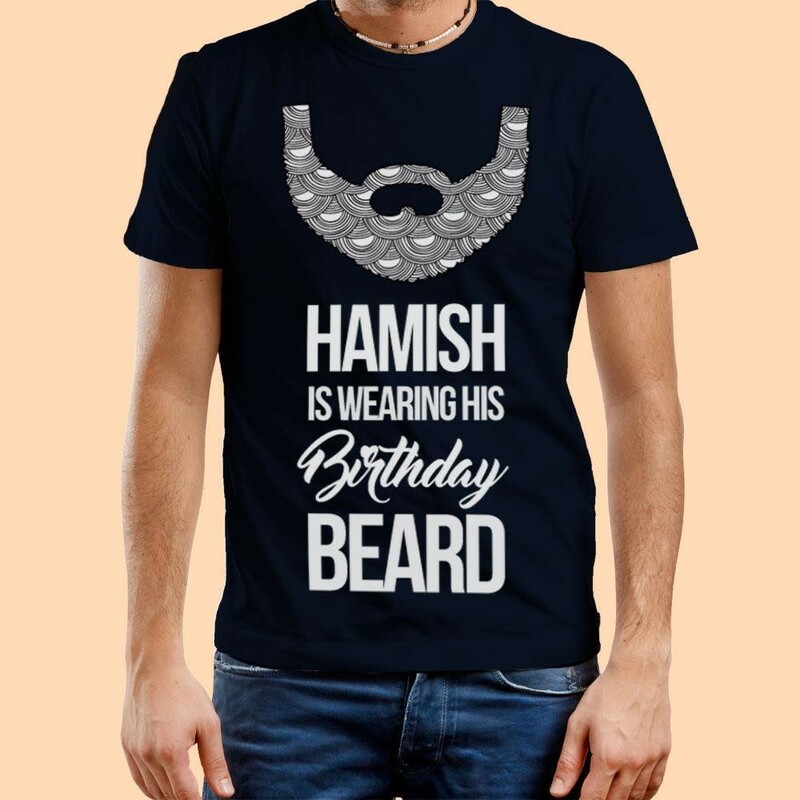 Especially designed for him to wear on his Birthday, it features a bold, digital illustration that can be seen for miles (everyone will know to buy him a celebratory beer!). 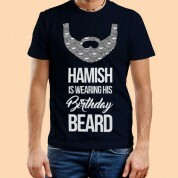 The unique design shows an intricately patterned beard, followed by the recipient's name and the wording “...is Wearing His Birthday Beard”. 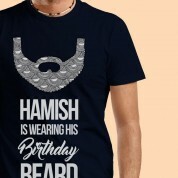 A comical gift he can recycle every year!